You’ve always heard of a firm handshake but how firm is firm? My firm may be a hand breaker to some and limp noodle to others. 1.) Use your words to introduce yourself while extending your hand to shake. 2.) Only shake with 2-3 pumps, any less is awkward, any more is uncomfortable. 3.) Grip with the strength of grabbing a doorknob, too hard, you hurt their hand, too light, you really creep out the other person, eww, no one likes shaking that hand. 4.) There have been times where, while I have been going in for a handshake, they zigged and I zagged, awkward. I’ve recovered by making light of the situation, digging deep for confidence and recovering quickly while moving past the gaff. 5.) What to do with that disgusting hand? If they are sweaty, sticky, dirty or my pet peeve, they just coughed into their hand and are now extending to shake yours, put on your game face, shake their hand (say nothing, do nothing) and at the first available opportunity, go wash your hands, maybe twice. Yuck! 6.) Don’t use two hands to shake, just your right one is fine. Two seems a little intrusive and sometimes, overly personal. Be sure too to keep your palm perpendicular to the ground, thumb up in the air. Power plays are at stake when you shake in any other way. This is your opportunity to make a great first personal impression. 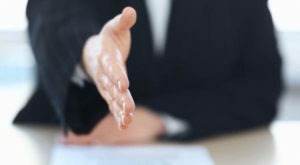 Go in with confidence and a great handshake (maybe one that has been practiced on a friend or family member first).